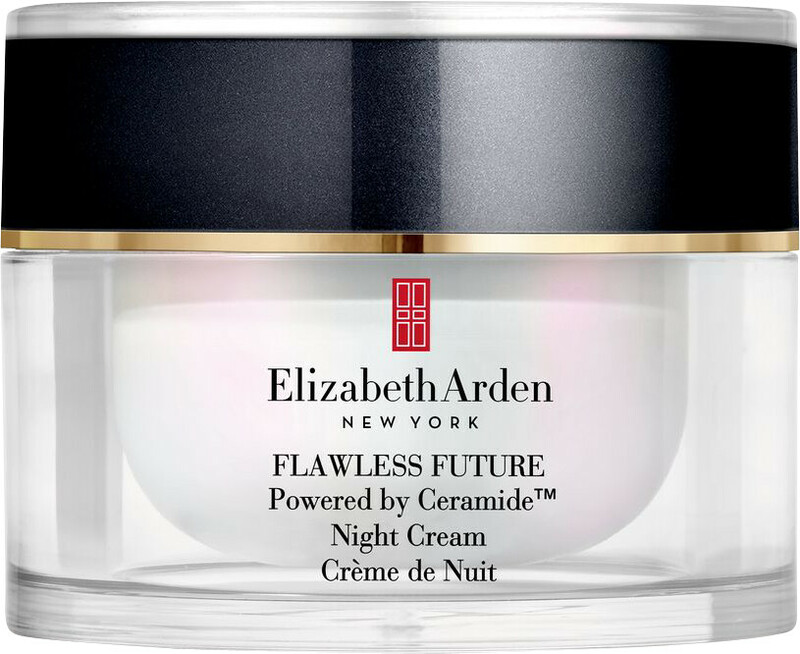 Counteract the first signs of ageing and ensure your skin looks stress-free and youthful with the Elizabeth Arden Flawless Future Powered by Ceramide Night Cream. This intensely hydrating night-time moisturiser features mineral-rich botanical and exclusive fragrance technology to calm the senses and promote feeling of relaxation. The brightening night cream supports the skin’s night-time renewal process, to help counteract the visible effect of stress on the skin while evening tone and diminishing the appearance of fine lines. 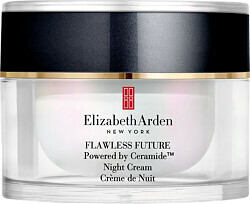 The revitalising formula will ensure you wake up to skin that looks refreshed, restored and youthfully luminous. Apply nightly to face and neck in an upward motion until fully absorbed.